I bought this based on the scent description. Right out of the bottle, I was actually disappointed. It didn't smell like anything. I got no scent off it at all. Once applied, I gave it a few minutes to settle and the drydown is actually quite nice. Reminds me of walking along the beach in the summer. It's very light. 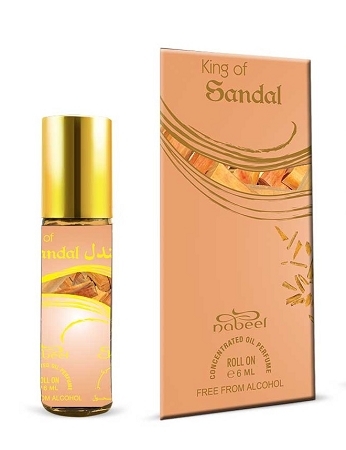 The sandalwood is pleasantly woody, not too deep, with just a hint of spice and the floral note of white flowers balances really well with it. Definitely a classically summer scent that I think men or women could pull off. It didn't last as long on me as some of the other perfume oils I've tried though. I LOVE this fragrance. 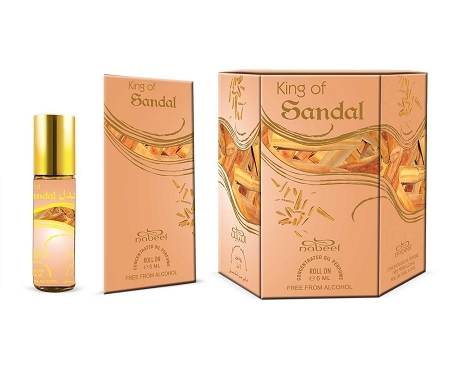 I've tried other sandalwood scents and found them a bit overpowering to wear. This is perfect...not too strong but 'present'. Crisp, clean and DOES smell like sandalwood. This is the best sandlewood oil I've ever tried. It smells similar to Adam Lavine. It's creamy, woody, long lasting with soft to moderate sillage. I love using it under sandlewood perfumes. I love this so much i bought a 6 pack and plan to buy more! Some sandals are too heavy, but this one is perfect. Very long-lasting oil and doesn't take much.